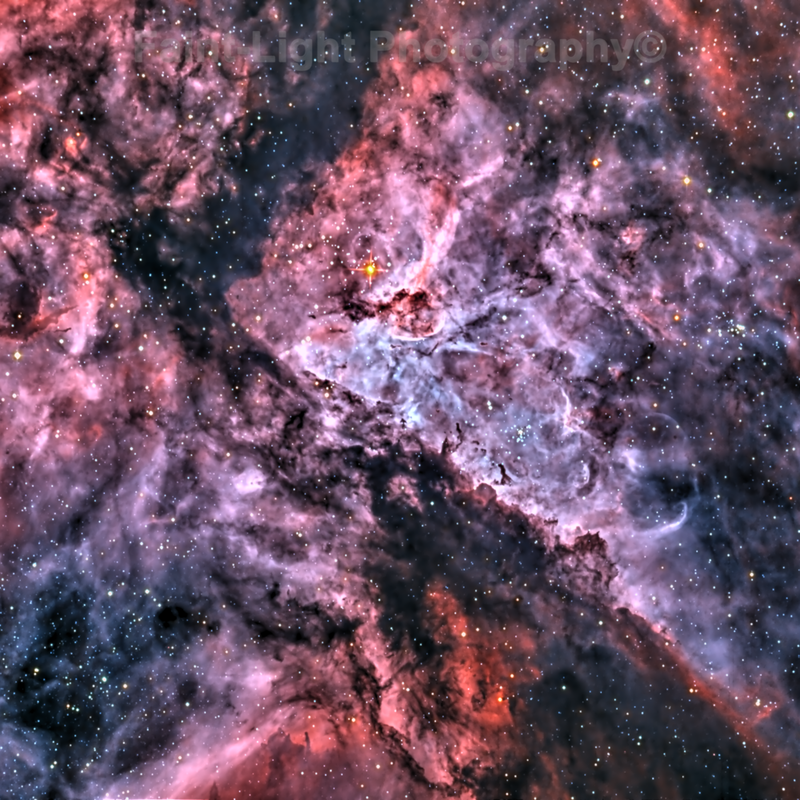 Eta Carinae Nebula is a complex of bright and dark nebulae estimated to lie at 6,500 to 10,000 light-years from earth in the Carina-Sagittarius arm of our galaxy. A very extensive, but diffuse, nebula, it hosts the brightest known star in our galaxy: WR 25 (a Wolf-Rayet star). The nebula is larger than the well-known Orion Nebula, but its greater distance makes it appear less spectacular. This image is in two wavelength bands only, and green values have been synthesized from just those two bands to provide a pleasing rendition.